The Babocush is such a nice and convenient innovation. To some, it is seen as a lifesaver while others see it as lazy parenting. The video about this new innovation has racked up over 10 million views and over 24,000 comments on Facebooksince it was uploaded on the 18th of January 2016. Within a couple of days, the babocush crashed because of the high volume of orders. As a father of three who learnt that you should not let you child depend on lying on your chest before falling asleep, it might have come in as a lifesaver or would it? 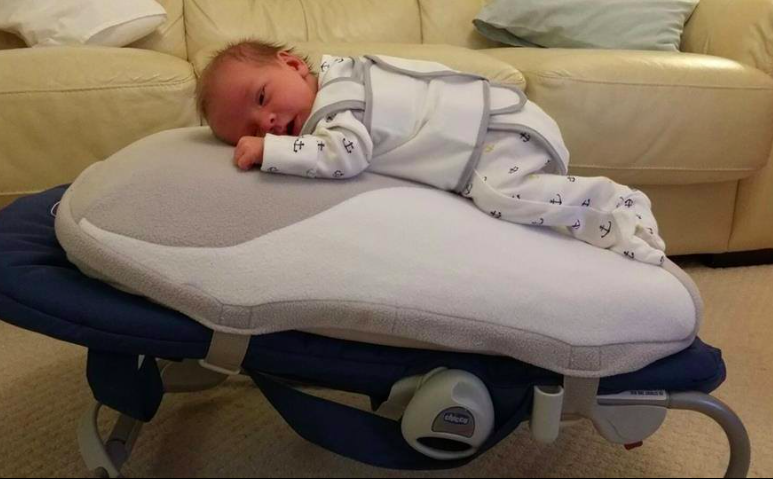 The Babocush claims to mimic the winning ‘head over the shoulder’ position of a baby lying on their mum or dad and has stimulated heartbeat sounds built in. but there are also some comments praising the invention. “Wow all these judgemental comments from these obviously ‘perfect parents’ ! Ignorant comments like these can cause first time parents confusion & self doubt at a time when they are sleep deprived or perhaps suffering from post natal depression. You all must have your child strapped to you 24/7 when you cook, which is dangerous, going for a poop, which is slightly strange or you must sleep with them, again highly dangerous. Because the way you’re going on about people that buy this are neglecting their child is ridiculous. What about multiple births? You can’t constantly hold 3/4/5 babies all the time. Sick of seeing parent shaming especially from other parents. Kerry Nevins is the creator of Babocush. This is her story below.